The business of advertising is a minefield – who would’ve thought that driving attention to a superior product or service could be so difficult? With the decline of traditional advertising formats like television and newspapers, coupled with the rise of digital campaigns, which have a reach that can engage up to 80% of global internet users (via Google Display Network), companies are beginning to learn that the key to getting noticed is by vying for attention online. And with Google commanding 90% of the search market share, it seems logical to utilize their Adwords (Now Google Ads) service for maximum exposure – but bad practice and intense competition mean that some users fail to see a return on their investment. Luckily, we’ve tapped into a wealth of data that not only helps explain why your Google ads are not performing, but offers a chance for digital redemption on the advertising scene. Below are ten data-driven factors to help you to rise above bad practice in Adwords. Regardless of its content and appeal, if your advert isn’t placed in the right location, it’s at a serious disadvantage in the world of PPC. Nick Andrews of Receptional reports that only 2% of PPC adverts placed at the bottom of a page attract clicks from browsers. That no doubt makes for bad reading for the 15% of advertisers that get positioned there. The most popular location for visitors to click is at the top of the page, which attracts a mammoth 85% of click-throughs for all website ads, while the right-hand sidebar is the most common place for adverts to be positioned. 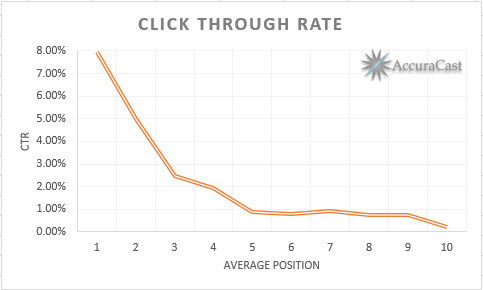 But despite 61% of all campaigns cropping up in that area of the screen, it only drives a 13% click-through rate. The moral of the story here is to aim for prominence when constructing your campaign. The top of the page is the key, with the power to single-handedly make your ads over six times more effective in attracting those all-important clicks. The ability to use Adwords to add extended information and links to your advertisements can be the difference between an average ad and a great one. Marketing solutions company Blue Corona report that 90% of online users trust online reviews, and with this as a listed extension for Google Adwords, you’d be missing a trick to not include a strong customer rating in connection to your advertisement. Google’s Display Network generates a massive 180 billion impressions every month, with campaigns that are able to reach up to 80% of all global internet users. Clearly, Google’s Display Network is a force to be reckoned with, and various content creators have noted that this approach to ads has increased their traffic by up to 300%. The system enables businesses to place visually appealing adverts in front of massive audiences, in a way that can help generate significant levels of awareness. Worth considering in your process. Google Optimize is an integral tool for getting the most out of Adwords. The service works by defining bids at keyword level, enabling advertisers to gain conversions at a lower cost-per-action than would otherwise be available. According to Google’s own statistics, advertising campaigns which use Optimize experience, on average, a 21% increase in conversions, while also decreasing their cost-per-action by 14%. It pays to be top. AccuraCast says that the average click-through rate of an advert in the top position on Google’s results page is 7.94% – ten times higher than what advertisers can expect for a side-positioned ad. Digital marketing expert Neil Patel expands AccuraCasts findings further, noting that 41% of all clicks on a page are hoarded by the top three paid adverts. This underlines the importance of making sure your campaign ranks highly among Google’s results – with every position lost, thousands of potential clicks go with it. Google is by far the most dominant force in mobile search advertising, commanding 97% of spend through the medium. Furthermore, Expanded Ramblings reports that 70% of mobile searchers call a business directly from Google Search, making it essential for companies looking to sell their service through telephone interactions. Mobile is great for offering customers the chance to move decisively, too – previous research has shown that up to 70% of mobile searches result in action being taken within an hour. If you’re a business offering swift solutions which can cater to an audience that’s on-the-go, then failing to utilize mobile advertising will ultimately hurt your return-on-investment. Be sure to optimize for local search if you have a physical location for customers and clients to visit. The figures are clear – Google says that up to 72% of users who perform a local search end up visiting a store within five miles. 50% of those users visited a store within one day, and 28% of local searches resulted in a purchase being made. To maximize your locality on search engines, you can make use of extensions which can display your location on a map thumbnail, or include your town/city of residence in your description line. Timing is of the essence when it comes to advertising, and cost-per-action (CPA) campaigns are heavily dependent on being active at the times their target audience is online. This is especially the case in B2B advertising, where the lowest CPA conforms to working hours. Wordstream found that the smallest working hours CPA for B2B advertisers was on Thursdays between 9 am and 10 am, at 49.97. Compare that to 1 am on a Monday, which has a CPA of 606.80, and you can see how heavily influenced advertisements are by the time of day. Of course, B2C times are less impacted by timing, with the biggest swing in timeframes separated by just a 26 CPA average. Although with consistent lows of 3.50, 4.81, and 5.23, the early hours of Wednesday appear to provide optimum value for adverts by a small margin. Hubspot claims that companies which track their Adwords campaigns in analytical terms are 17x more likely to see a positive return-on-investment that don’t. But worryingly, only 57.7% of Adwords accounts owners have tracking services in place. This means that an extraordinary number of users are failing to monitor opportunities to optimize their campaigns. Applications like Google Tag Manager enable users to monitor the success of their campaigns, and the engagements that come with them, as well as providing insights into the optimum times to run campaigns and where to target. It’s vital that companies also focus on building their brand awareness through Adwords alongside any products or services or offers that could be included. Google’s research shows that search ads have the ability to increase brand awareness by 80% when utilized effectively, which includes focusing your attention on the company name and its operations in your headline and description as a primary action. It’s no use plugging a product if potential customers don’t know anything about the company they’re buying from – brand awareness is a key benefit of the process. Hopefully these tips and data points help to get you thinking about how you can make best use of Google Ads, and maximize exposure for your business.